Jobu belatedly reviews the Yankees series with the Anaheim Angels. Apologies for the lateness of this post, as I have had a couple of very busy weeks! Sadly, in the interest of keeping this fresh, I won’t go full detail with this post. Trust me though, you’ll get the gist of what went on in Anaheim. 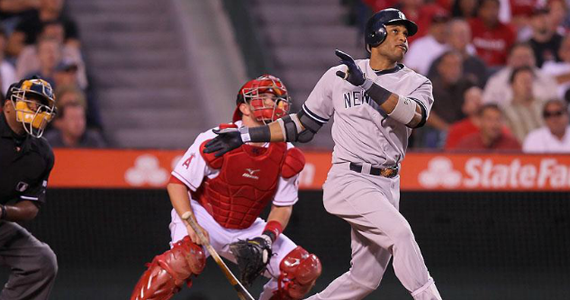 The Yankees came into the series on a five game winning streak, and the Angels came in on a six game streak of their own. Something had to give, and it did. I knew this series would be tough heading into it, not so much because the Angels are a tough team (although they are), but more because the Yankees tend to struggle against the Angels in general, especially in Anaheim. As I mentioned earlier, the Yankees lost two out of three. It was disappointing, because they could have won two out of three, but I guess they could also have gotten swept, so it’s not so bad. Let’s start this off with one big step back, which was the start from Phil Hughes. Hughes was pitching in front of his home town crowd in Anaheim. This does ten to add pressure for a lot of players but, at the same time, Hughes is now 26 years old and a five-year veteran, so it shouldn’t phase him anymore. Hughes came out overthrowing everything, and the four runs he allowed completely erased the three-run lead the Yankees had given him to start the inning. It never really got any better for Hughes, who was simply overthrowing and making tons of mistakes, and he finished the game with the following line: 5.1 IP, 11 R, 7 R, 0 BB, 3 Ks, 87 pitches. Hughes had been pitching so well the last few weeks, that this was a very disappointing start. It kind of put his run of late into question, and made everyone nervous about him again. 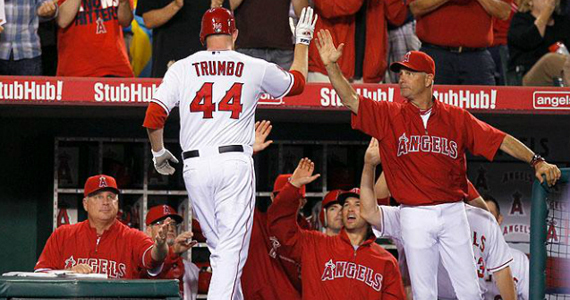 The Yankees ended up losing this game 9-8 on a walk-off home run by Mark Trumbo in the bottom of the 9th. The second game was not much better with Any Pettitte on the mound, Pettitte didn’t really seem to have his A-game in his first road start. It wasn’t the worst start I’ve ever seen but, with Dan Haren on the opposing rubber, they needed a big outing from Andy. I wouldn’t read too much into it. It was just a bad start after two very good ones. 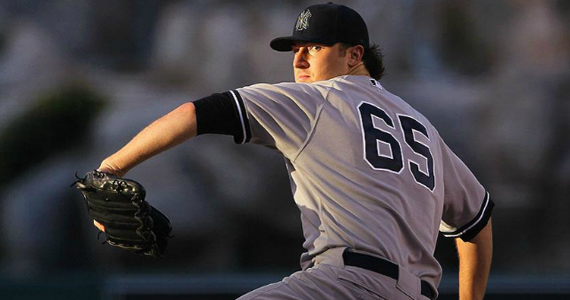 The Yankees lost 5-1, and Andy’s final line looked like this: 7 Ip, 9 H, 5 R, 0 BB, 3 K, 108 pitches. When the Yankees lost the first two games, I figured the sweep was going to be pretty easy for the Angels. The Yankees had the enigmatic Iván Nova on the bump for game three, which hasn’t been that enticing for me lately. While Iván got the win to boost his record to 6-2, his ERA is still well over 5.00, and the league is hitting an abysmal .313 against him. He has now allowed 40 extra-basehits in just 62.2 innings this year. To put it in perspective, he’s only allowed 39 singles. Go big, or go home, Iván. Anywho, the enigmatic part of Nova’s season so far is that he has pitched well in about 90% of each game he has pitched. That 10% of each game where he loses his head has led to all of those doubles, triples and home runs, and has ballooned his ERA. His final line for the night (6.2 Ip, 8 H, 5 R, 3 BB, 2 K, 95 pitches) doesn’t look totally awful, especially since the Yankees won 6-5, but he needs to cut down on the long ball and the XBHs. I think he will, because like i said, he’s nasty in about 90% of every outing. I’m not sure if he loses focus the rest of the time or what, but he’s gotta do some meditating or something to fix that, and soon. Surprisingly enough, the Yankees struggled in this series with runners in scoring position. Even in game one, when they scored eight runs in a loss, they still only went 3-11 with RISP. Game two featured another 3-11 RISP performance, and Robinson Canó left the bases loaded twice (another sickening trend with these Yankees). Even game three wasn’t that impressive. The Yankees hit a couple of home runs, but still only managed to go 1-4 with RISP. There isn’t really much else to talk about this offense. They continue to disappoint with men on base and especially with the bases loaded, and it’s getting exhausting to watch. I refuse to even really acknowledge them at this point.